The Memphis, Tennessee Med Communications office serves as a rotation site for fourth year students from the University of Tennessee College of Pharmacy. This service is tremendous in that it exposes students to career options in the pharmaceutical industry. Without a rotation in this area, many pharmacy students may have little to no idea what other opportunities exist for a pharmacist aside from the traditional roles found in retail, hospital, and academic settings. Several studies have highlighted the impact pharmacy students’ exposure and education surrounding various practice options can have on their career choices. What do PharmD students know? During a poster presentation at the 2015 DIA Medical and Science Communication Annual Forum held in Glendale, Arizona during March of 2015, Bhika and Marsh presented their study “Pharmacy Students’ Perception and Awareness of Pharm Industry Careers in a Geographic Area with Limited Industry Presence”. The objectives of this study were to determine pharmacy students’ current perceptions of the industry, access their awareness of career opportunities within the industry, and to find ways to improve students’ awareness and knowledge of industry. Who was included in the study? The study included students from Mercer Univeristy and the University of Georgia (UGA). A total of 1215 students, 650 from Mercer University and 565 from UGA were included. Bhika and Marsh both worked for UCB Inc., a global biopharmaceutical company. The North American Medical Information and Communications Department of this company serves as a rotation site for fourth year pharmacy school students from the two schools involved in the study. Students on this rotation are involved in writing standard response letters, performing literature searches, responding to live requests from customers, and meeting with other colleagues within the company. Online surveys and reminders were emailed to students during early February 2015 and analysis was conducted on February 20, 2015. Responders were surveyed based on four key components, as follows: demographics (school year, practice experience), perception of industry (value for patient care, impact on research funding), career opportunity awareness (around job functions for pharmacists in industry and method of student awareness), and impact of career choices (industry exposure and likelihood of career in industry and reasoning). A total of 112 students completed the survey, 37 from Mercer and 74 from UGA (one skipped). A majority of the students (30.6%) were in their fourth year of pharmacy school. Students who were currently working were in retail (78%), hospital (12%), independent ( 7%), and compounding (6%) pharmacy settings. In all, there was a 90% awareness of career opportunities for pharmacists in industry. Awareness was via multiple avenues, with the top one being a guest lecturer from industry (71%), followed by professional organizations in pharmacy school (53%). Most students (63%) responded that exposure to industry would impact their future career decision. Summer internship was noted to be the student interaction to most likely impact decisions for a career in the pharmceutical industry, followed by clerkship/rotations. Pharmaceutical industry class was also noted to be a likely area to impact students’ decisions to pratice in the pharmaceutical industry. Participants also noted the pharmaceutical industry’s perceived value for health care. The top values they indicated were medications (91%), education/information for HCPs (80%), patient medication assistance (73%), innovation beyond medications (58%), disease state awareness/education (54%), and connection to advocacy groups (24%). Most students are aware of industry career opportunities for pharmacists. Students want to learn more about these opportunities. Top choices for learning included summer internship or clerkship/rotations. Pharmacy students can take rotations/clerksips at reputable pharmaceutical industry sites such as Med Communications in Memphis, TN. Such rotations help to introduce students to opportunities existing in the pharmaceutical industry. Students who are interested in getting into such career opportunities can go further in taking fellowship positions with these institutions as entry level to the many roles a pharmacist can play in the pharmaceutical industry world. Bhika K, Marsh C. (March, 2015) . Pharmacy Students’ Perception and Awareness of Pharm Industry Careers in a Geographic Area with Limited Industry Presence. 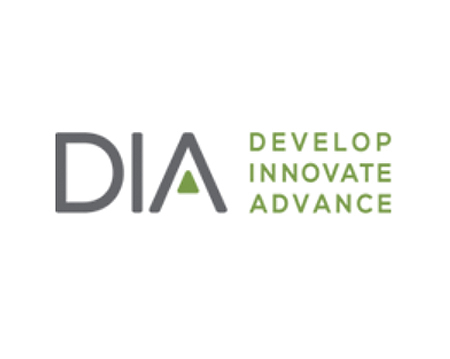 DIA: Medical and Scientific Communications 2015 Annual Forum. Glendale, AZ.